Calling all cowboys and cowgirls! 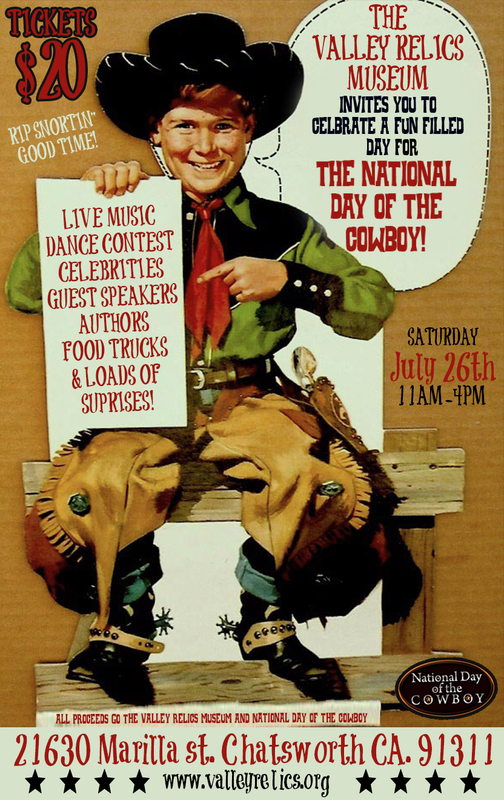 The San Fernando Valley Relics Museum is c elebrating the 10th annual National Day of the Cowboy, Saturday, July 26th, 2014. 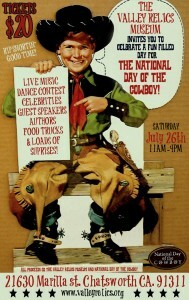 This is a fundraiser to support the museum and the National Day of the Cowboy. I’ll be signing books at the event, which promises to be a lot of fun. pull on your boots, slap on your cowboy hat, and come on out to join us!